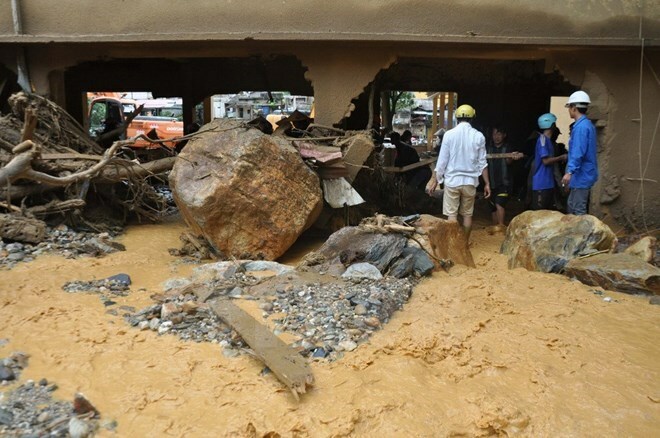 Hanoi (VNA) – Lao Prime Minister Thongloun Sisoulith on August 11 sent sympathies to his Vietnamese counterpart Nguyen Xuan Phuc over heavy human and property losses caused by recent floods triggered by prolonged rains in the north of Vietnam. “I am very sad and worried upon learning about prolonged downpours and flash floods causing widespread flooding and landslides, resulting in human and property losses for the people and infrastructure damage in northern provinces of Vietnam, especially Dien Bien, Son La and Yen Bai,” the Lao PM wrote in the message. On behalf of the Lao Party, Government and people, he offered sympathies to PM Phuc and the Party, the Government and people of Vietnam, particularly the administrations of the flood-hit localities and affected families.